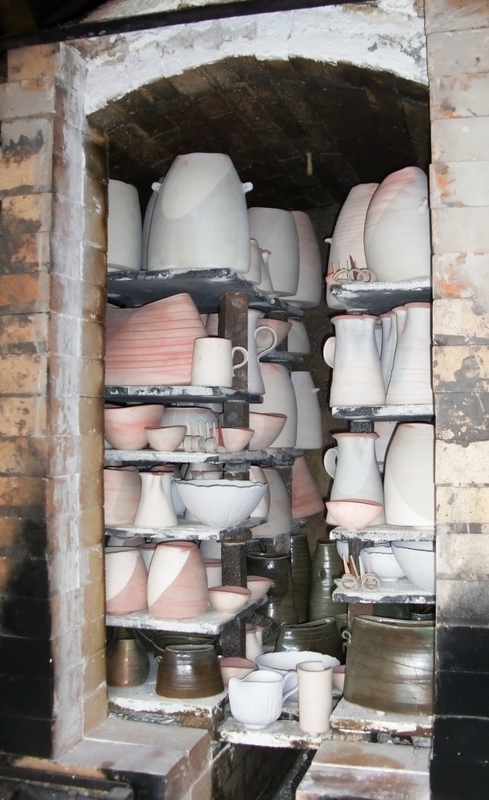 The majority of Mandy’s work is fired in a wood-fuelled salt-glaze kiln. 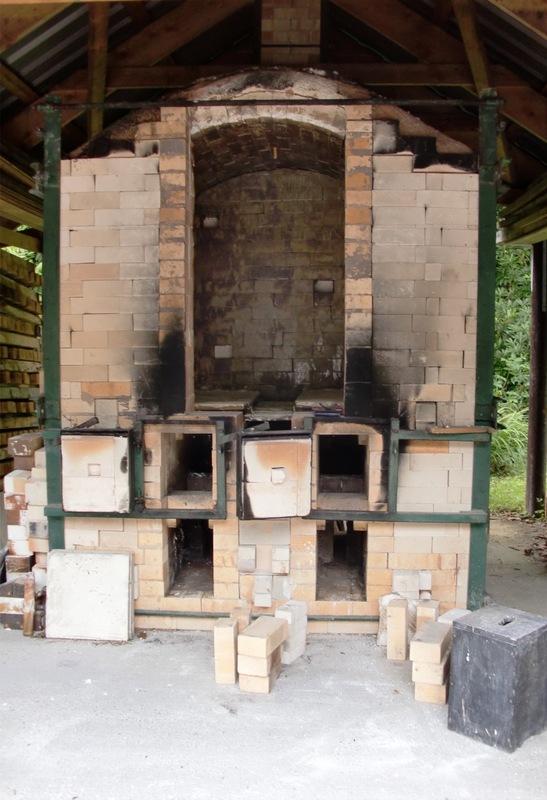 The kiln, which has 50 cubic feet of packing space, was built in 2006 and is currently fired once to twice a year. It takes approximately 24 hours to fire to 1300°C using timber off-cuts from a local sawmill. Once fired, it takes another three days before the kiln is cool enough to open and unpack. Firing with wood is a demanding decision – the timber management and constant stoking of the kiln throughout the firing requires an unparalleled time and energy commitment. In return, it provides a strong connection to the making process. The finished pieces record the passage of flame, ash deposits and salt vapour through the kiln. The unique journey of each piece through the firing can be seen in the subtle variations on the finished surfaces.